Get excited, guys. 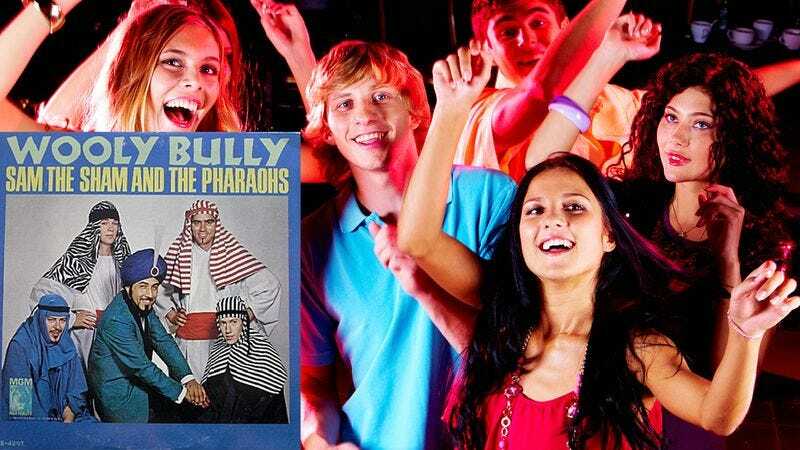 Sam the Sham and the Pharaohs’ 1965 sensation “Wooly Bully” is having a big-time resurgence. From the bilingual count-off to the irresistible chorus, the re-release has everything we loved about the original, and is far louder to boot! The 2:20 track, which previously topped out on standard sound systems at about 90 decibels, has now been acoustically enhanced so that it now plays at 130 decibels (!! ), which sounds about 16 times as loud to listeners. Awesome. And Twitter’s blowing up too, of course. Call it a comeback, call it 2014’s song of the fall, or don’t call it anything—just get out there, set your earbuds’ volume well above advisable levels, and let Sam the Sham transport you back and up to how loud the 1960s should have been.